The affordable split beam spectrophotometer including an 8-cell changer. The T70 split-beam UV/VIS spectrophotometer offer excellent performance, high quality and are competitively priced. 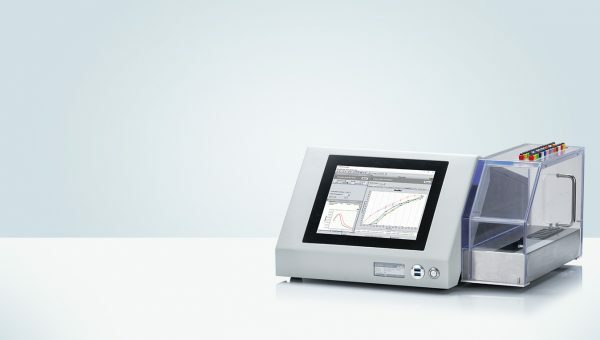 The T70 is well able to meet the stringent requirements required by analytical chemists. It features a wavelength range of 190 to 1100nm and is delivered with a built-in 8-cell changer as standard. It can therefore be used for both manual operation as well as for fully automated dissolution testing applications. The T70 includes an 8-cell changer. UV-Visible Spectroscopy is a universally accepted, well documented technology with many applications. The technique is extensively used for the analysis of foods, drugs, agricultural products and is widely used in the medical care, public health, environmental protection, life sciences industries and many other organic and biochemical applications. The T70 series of UV-Visible Spectrophotometer offer excellent performance, high quality and are competitively priced. The T70 range of UV-visible spectrophotometers are well able to meet the stringent requirements required by analytical chemists. The T70 UV-Visible series is innovative in terms of instrument application, mechanical and optical design, electronic control and software, whilst retaining features that are well established and accepted throughout the industry. 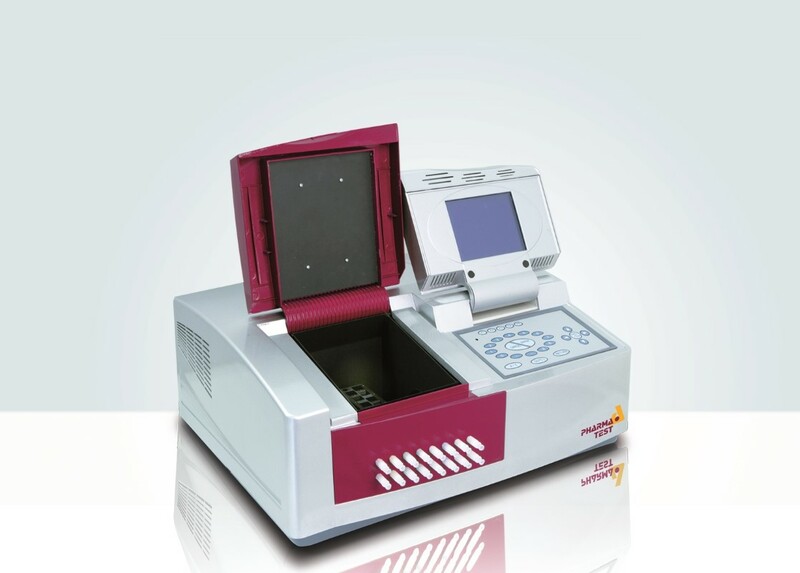 The T70 series of UV-Visible Spectrophotometers are able to carry out the following types of analyses: photometric measurement, spectral scans, kinetic measurements, quantitative determination and DNA/Protein analysis. When interfaced to a PC the user friendly control software offers many other applications such as access to a data base, three-dimensional spectral analysis, GLP Laboratory protocol, fast analysis of pesticide residues and many other established applications that are required for environmental analysis. The T70 has a built in 8 way UV cell changer as standard. The large cell changer compartment is fully enclosed but still offers easy access. Thanks to the cell holder design, all of the installed UV cells are always reproducibly positioned in the light path. For Dissolution Testing, the 8 way UV cell changer allows the connections of a single Dissolution Bath. The maximum path length of the UV cells is 10mm while the smallest is 0.1mm. The unit is designed to operate with a standard 10 x 10mm flow through cell with a centre axis of 15 mm. There is open access to the cell changer and therefore the attachment of flow cell tubing (either PTFE or FEP) is a straightforward task. All tubing lines are clearly routed through a convenient manifold and the operator is easily able to check out the entire tubing installation at a glance. Binary File Save Binary format to save measurement data. Binary format improves data security.